Customer experience isn’t a zero sum game. So why is it treated like a commodity that needs to be parceled out? 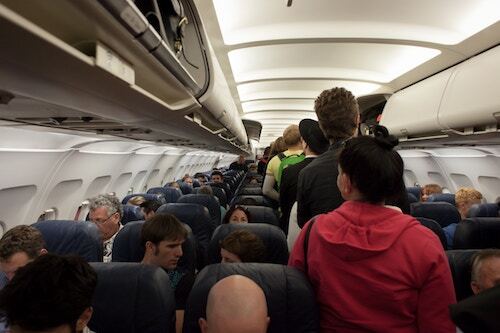 Time for a rant about air travel. Not the usual one. Well, not entirely. One of us booked a “basic economy” ticket recently — it was on United Airlines, but this column isn’t about United entirely, either. A couple of days before the flight came an email with a reminder of the rules. You’ll board last. That might be a blessing, since it means less time on the plane. Smart service design involves identifying customers’ pain points and relentlessly relieving them. Here, the idea seems to be to identify pain points, put a price tag on them, and exploit them as perverse opportunities. What’s at work is a mindset of post-apocalyptic scarcity. Airline executives imagine a zero-sum world in which there is not enough good experience for everyone to have some. Any addition must be matched by an equal or greater subtraction. Call it segmentation by subtraction. Now, we know that “basic economy” was not forced on us. It is what we paid for (though in this case it was the travel department and we didn’t know it). Cheap seats, cheap service — that was the deal. And let’s give credit where it’s due: A critical element of good service design is setting clear expectations, and the e-mail certainly did that. So why does the deal feel so wrong? On the surface, it’s the platitudinous dissonance of those last two sentences. “Thank you … we look forward to seeing you.” They’re like an invitation to a dinner party thrown by a miserly, misanthropic, teetotalling host. You just know it’ll be a swell evening. But there’s a deeper flaw, a mental mistake — that zero sum mindset — that’s not limited to United or to airlines. 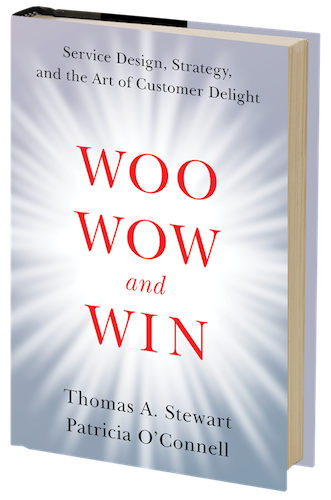 To this way of thinking, the mathematics of customer experience work something like this. We have 100 points of goodness to allot to each customer, which means 10,000 points for every 100 passengers. But 10 of them are first class, and, because we really thank them and really look forward to seeing them, we’ll allot them 400 points each: food, drink, wide seats, pillows, blankies, a dedicated flight attendant, and a loo to call their own. Note, by the way, that the stripped-off services cost little or nothing to provide: Seat selection, the bag, and boarding order are essentially free; and we’re willing — or trained — to pay $200 for flight changes. Taking away seat selection does allow an airline to give better seats to the customers it likes better than you. But fundamentally, there’s no economic reason: This rationing is rational only to a brain locked in a scarcity mindset. The airlines are the most prominent exponents of zero-sum service design — in which a boon for one customer must be paired with a bane for another — but they are not alone. Everybody’s other least-favorite industry, health insurance, acts similarly. The industry is riddled with deals among providers, insurers, Medicare, etc. Identical twins with identical ailments would probably get inexplicably different bills from similar providers across the country or even across town. In this chaos — where prices are not set by a just, invisible hand and there is an utter lack of transparency — one patient’s winning deal causes providers and insurers to pin a loss onto another. In that business, a “basic economy” policy could send you to the poorhouse, or the grave. As our mothers taught us, it costs nothing to be nice. Goodness is not, in fact, something that has to be rationed. If you start with a decent price for decent service — a hundred bucks for a hundred points of goodness — then you can reward your favorite customers in all kinds of ways that cost essentially nothing. Plus, you can also offer them the chance to buy extra benefits that are truly worth extra money — the way they pay American Express to upgrade to gold, platinum, or black cards. That is segmentation-by-adding-on. It’s better.